ABC’s XYZ tour – new date added!!! New date added!!! We are very excited to announce that a new date has been added to ABC’s XYZ tour this coming November. November 12th will be at the Nottingham Royal Concert Hall. Martin Fry, August Darnell and their bands will be coming to a venue near you as they travel up and down the U.K. playing some fabulous venues. 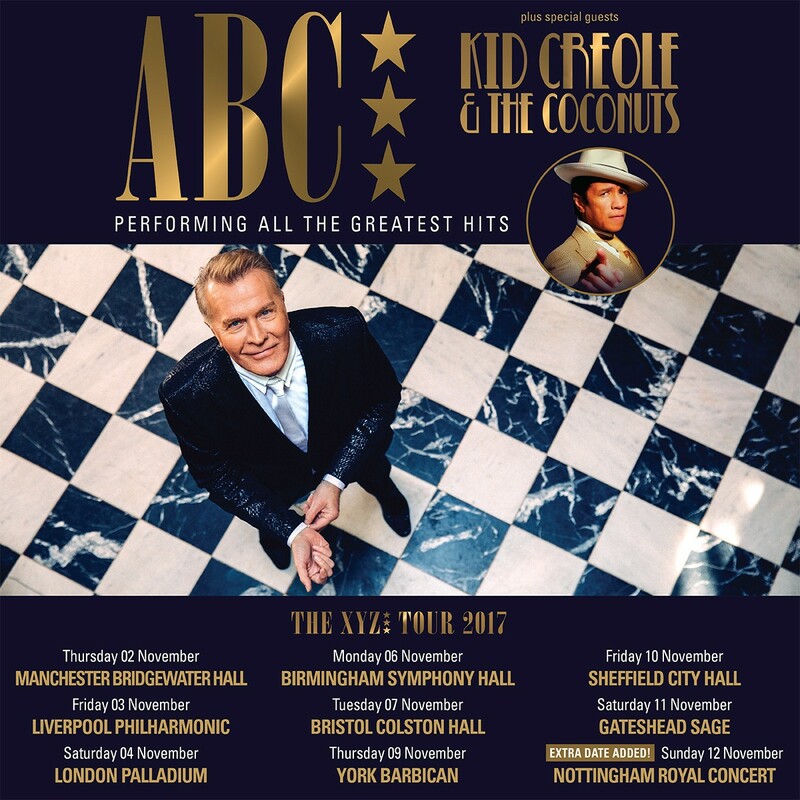 Following an incredible 12 months including a critically acclaimed new album and nationwide sell out shows, ABC have announced a brand new UK tour for November performing all their greatest hits. This new full band show will also see them being joined by non-other than Kid Creole and The Coconuts. ← ABC tour XYZ – tickets on sale now!